K‘s House is certainly among the best hostels I’ve been to! 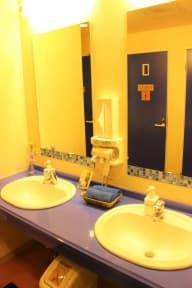 Amazing atmosphere, very friendly and helpful staff, clean bathrooms and dorms! It’s in a quite central place but still in a quiet neighborhood. I can highly recommend the place!! I´ ve never experienced a such outstanding service in a hostel before. Very helpful staff, knows where to go and very friendly, very well organized. Free coffee, marmelade and tea in the morning. 5 out of 5 stars. Would higly recommend it to everyone who wants to stay for a city trip! A very nice place to stay in Tokyo. The beds were comfortable, it was clean and they have a really nice community area, where it’s easy to meet new people. The staff was awesome, super friendly and helpful. The hostel is located right next to the subway station, so it’s easy to get into the city center. Would definitely stay again! Very nice hostel, staff can give you great recommendation and the athmosphere was amazing! 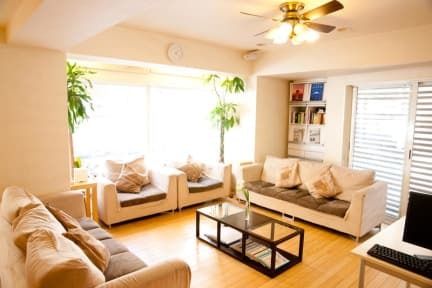 Very convenient hostel next to Ueno subway station. Spent there three nights. It's really quite and clean as far is possible in a large accommodation. The common room is nice to relax or talk with other people. Inside dorms there's a air conditioner and humidity control unit. If the beds would have curtains for more privacy this would be nicer. Go there it's nice. The stuff is very helpful and the atmosphere is quite nice! The location is also good, only few minutes from the subway away. The room was clean and comfy. Good but simple hostel. Very small rooms with four bunk beds. So there was no place to store your bagpack. Small safes but safe and easy to reach. Showers and restrooms good, but old. Common area was almost perfect. Good vibrations and easy to connect to people.